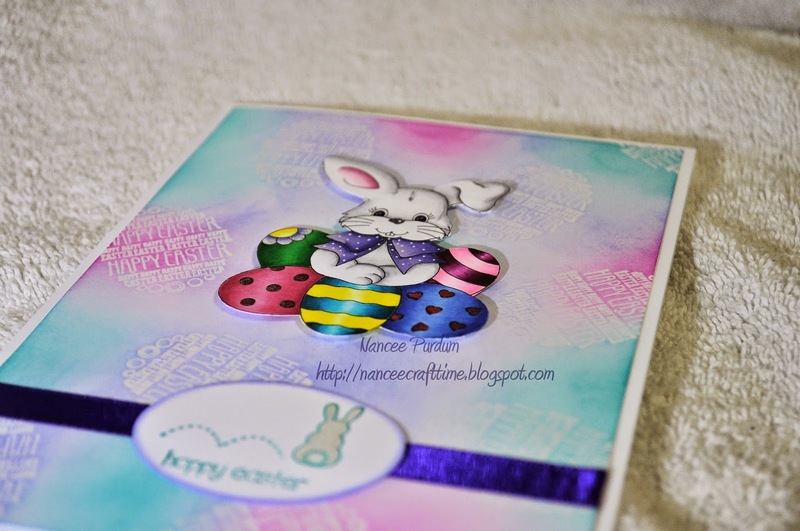 For Easter for my many great nieces and nephews, I made them each a card using a digital image from Whimsey Stamps called Little Bunny’s Easter Eggs. I thought it was so cute! 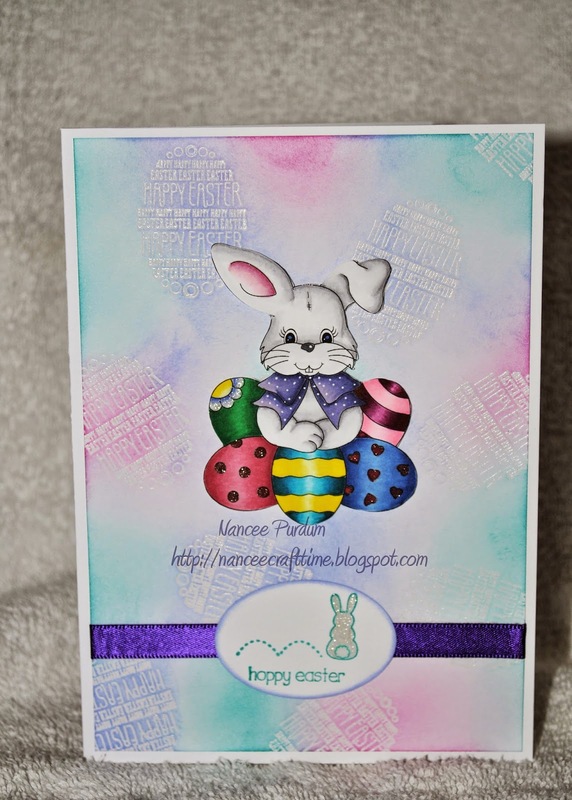 I wanted something simple as I had many to make, so I used a stamp from Stampin Up to clear emboss my background. 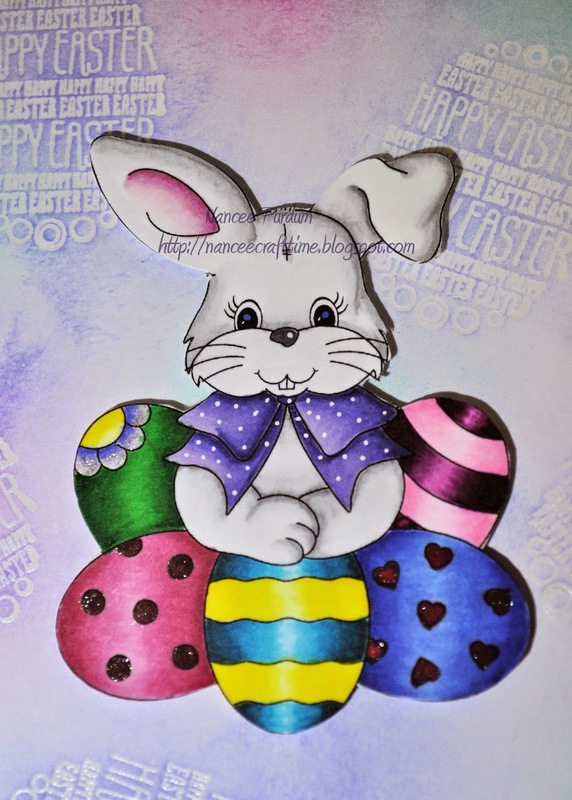 I then used some distress inks to color the background with some bright Easter colors. I used my Copics to color the image and then cut it out. I used another stamp from the same Stampin Up set to create the sentiment on the front.